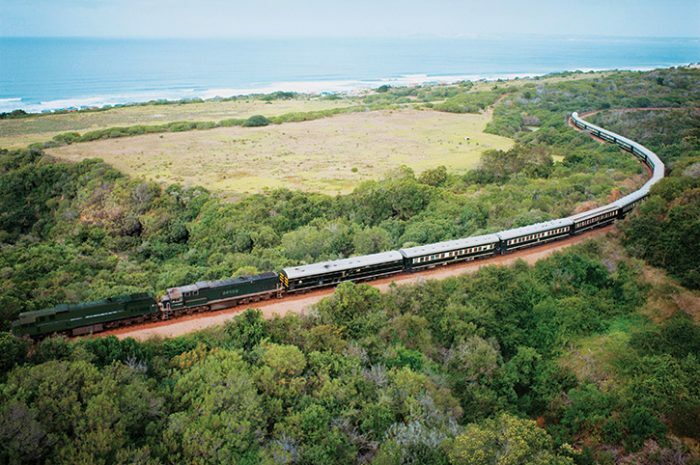 A grand 15-day journey aboard the Shongololo Express, showcasing many of the must-see destinations in South Africa, from metropolitan Cape Town to the Kruger National Park. A spectacular 15 day escorted rail tour that traverses South Africa to showcase the beauty and variety of this fascinating country. Journey through the countryside by rail, stopping at all of the remarkable places enroute for guided off-rail excursions to experience the sights in each region – all included in the price. 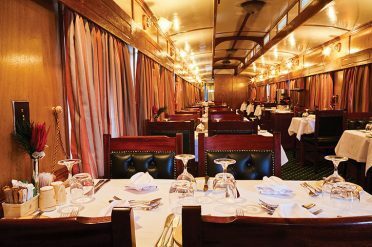 There is a traditionally styled dining car offering delicious meals in an informal setting, a bar and an observation car with an open-air balcony at the back of the train. Guests are accommodated in a choice of comfortable air conditioned cabins. 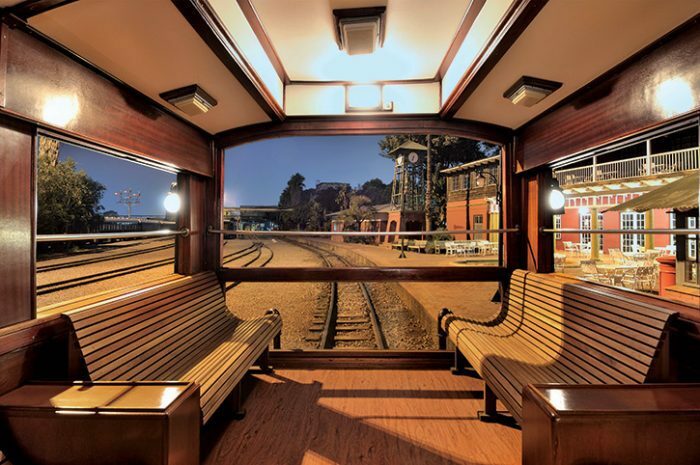 After check-in at the Rovos Rail Lounge, begin your adventure with a city tour of Cape Town taking in sights such as Company Gardens, the colourful Bo Kaap area and the bustling V&A Waterfront. This afternoon board the Shongololo Express and head through the lush vineyards of the Western Cape towards Worcester. Continue by road over scenic mountain passes and through the quaint towns of the Overberg to Hermanus. The town is renowned as one of the best places in the world for land based whale watching with these magnificent creatures usually seen (Jul – Nov) close to shore from the cliff path. Head back to the train at Robertson for dinner and overnight. Meander along the beautiful coastal roads of the Garden Route, through the town of George and the primeval forests of Homtini, before arriving at the lagoon side town of Knysna. Enjoy a boat ride to Knysna Heads and the Featherbed Nature Reserve, before dinner tonight at Fancourt Golf Estate. Drive across the dramatic Outeniqua Mountains to arrive at Oudtshoorn, a town surrounded by the natural beauty of the Swatberg Mountains in the semi-arid Klein Karoo. 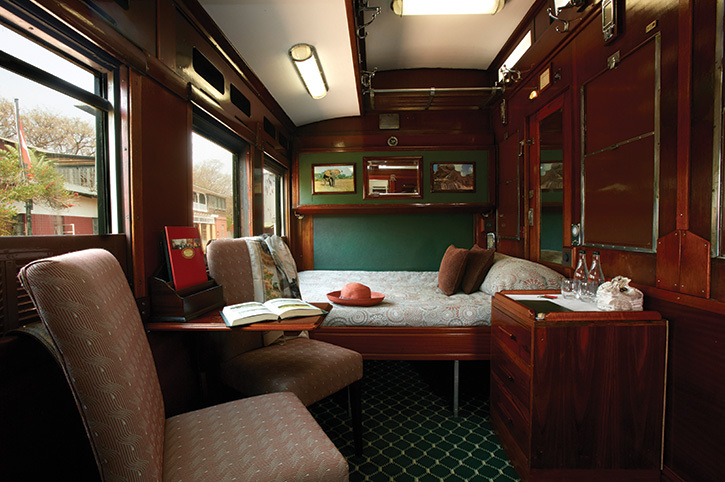 Visit an ostrich farm and the eerie Cango Caves, before re-joining the train and heading for historic Graaff Reinet. Tucked away in the bend of the Sunday River, Graaff Reinet was established in 1786 making it the fourth oldest settlement in the country. On a walking tour, explore some of the 200 historical buildings, museums and galleries, before returning to the train for lunch on the way to Kimberley. After breakfast visit the Big Hole Diamond Mine Museum followed by lunch at one of the city’s restaurants. Later this afternoon board the train and continue your journey through the sparsely populated interior. Wake up the next day in Bloemfontein the ‘city of roses’ and seat of South Africa’s judicial system. There is a visit to the Anglo Boer Museum followed by an orientation tour of the city taking in panoramic views from Naval Hill. In Ladysmith the next morning trace the course of the Anglo-Boer wars on a thought-provoking battlefield tour taking in the Siege Museum and Wagon Hill, before returning to the train for lunch. Arrive into Durban on the shores of the warm Indian Ocean where there is a tour of PheZulu Safari Village and uShaka Marine World. The next morning take a tour of the world-heritage site of St Lucia Wetland Park which boasts the highest bird count in the whole of Africa as well as being an important breeding ground for turtles. The following day head out early for a game drive in the ‘Big 5’ Hluhluwe National Park, South Africa’s oldest and renowned for its conservation efforts in saving the rhino. Leaving the country for the first time, the Shongololo snakes its way through the Kingdom of Swaziland to its overnight stop. 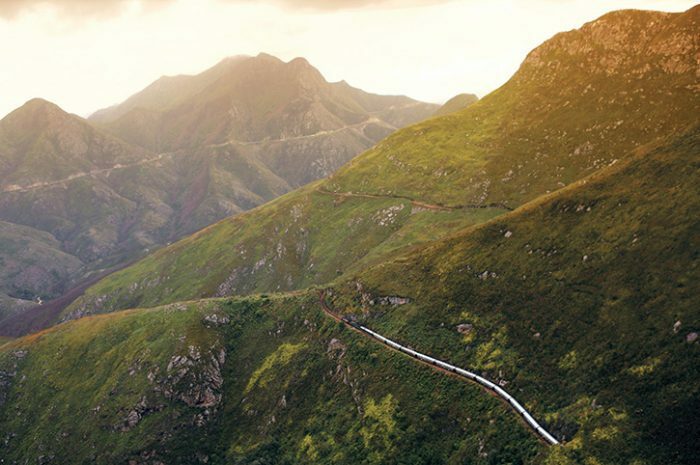 Explore this tiny kingdom by driving through the Ezulwini Valley, past the royal residence to Manzini. The colourful market here is a hive of activity with skilfully crafted goods to sell. This afternoon re-join the train in Malelane over the border in South Africa. Today enjoy a full day game drive in the world-renowned Kruger National Park. Two million hectares of unrivalled diversity including the Big 5 make this one of the highlights of the trip. Head back to the train this evening and depart for Nelspruit. The following morning there is a full day tour of the Panorama Route which includes the historic gold mining town of Pilgims Rest and God’s Window, a spectacular viewpoint over the Blyde River Canyon. Arrive into Pretoria this morning for a tour of the city and Soweto. Drive past the street where Nelson Mandela and Arch Bishops Desmond Tutu both lived, before a visit to the Hector Petersen Memorial. Back in Pretoria visit the imposing Union Building which houses the offices of the President and the Voortrekker Monument, before returning to the station where the tour ends. Enjoy a Gold Cabin as standard with double or twin beds and an ensuite shower. Alternatively, choose to upgrade to an Emerald Cabin offering the same comforts as Gold cabins but with more space. All prices are per person, based on 2 sharing a twin or double room. Seasonal variations may apply, please call Freedom Destinations for more information and availability. Ask your Africa Expert about Shongololo’s other journeys, including Southern Cross between Pretoria and Victoria Falls and Dune Express from Pretoria to Swakopmund. Flights not included. Discounted flights available from most UK airports. Choose the Shongololo for your rail journey in South Africa, with traditionally styled dining car and an observation car with an open-air balcony at the back of the train.